Last week my Gemini PDA has arrived. 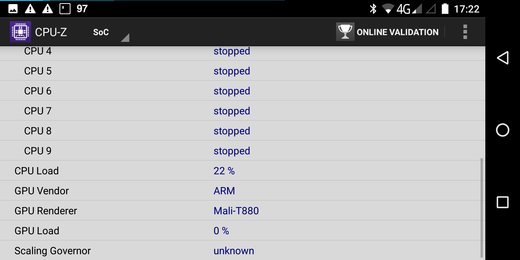 There have been some problems with devices from the first batch especially regarding the keyboard and the device not containing the X27 SoC but a X25 SoC. 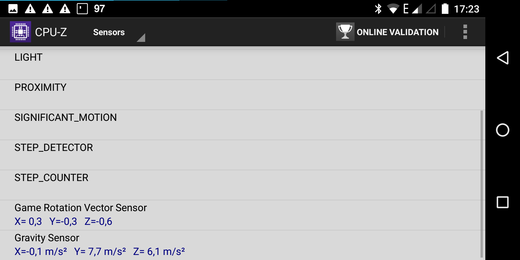 At least one later device also has been reported being powered by the X25 SoC. Thus I wanted to do some basic testing before flashing Linux onto it. So I have installed CPUZ and A1 SD Bench on it and did some (very) basic testing. First we will have a look at the CPUZ output. 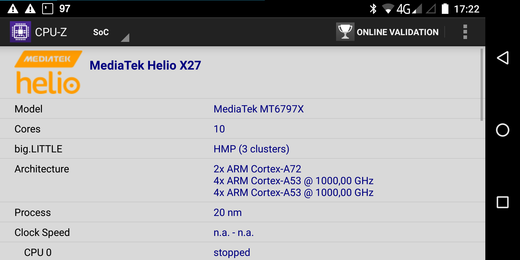 Here we can clearly see that this Gemini is powered by an X27 SoC with its two Cortex-A72 and eight Cortex A53. The last part of the SoC screen shows the Mali-T880 GPU. Some more device information regarding display resolution and amount of memory can be seen below. 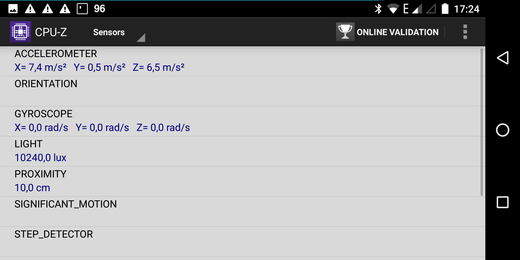 The two screenshots below show the sensors available in the Gemini. This might be interesting later to see if all of them can also be accessed from Linux. 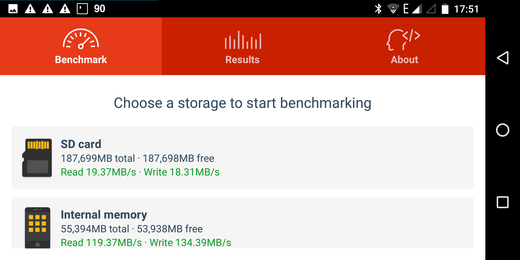 Finally some speed tests regarding the internal memory and the SD card using A1 SD Bench have been performed. So there might be an incompatibility with this card or some driver issue. Maybe some later tests with Linux will show. At least the results would be comparable then, because of using the same tool. The device seems to be as expected an after flashing Linux we can have a look into some more details. The process of flashing Linux already is well documented on github and on oesf.org, thus it will not be covered here. What is going on here? 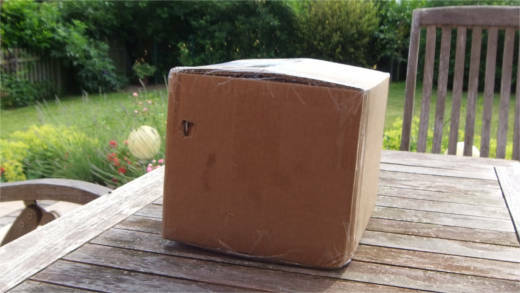 An unboxing article on MyGNU.de? Well, this is the exception, since the Gemini is an exceptional device like Nokias N900 has been before and in the future hopefully the some day finished Neo900 might be. Well, I do not want to stray away any further. About 13 month ago I have backed Planet Computers Gemini PDA Indiegogo campaign. Planet Computers has promised a device that is different from anything else, that is available for purchase. 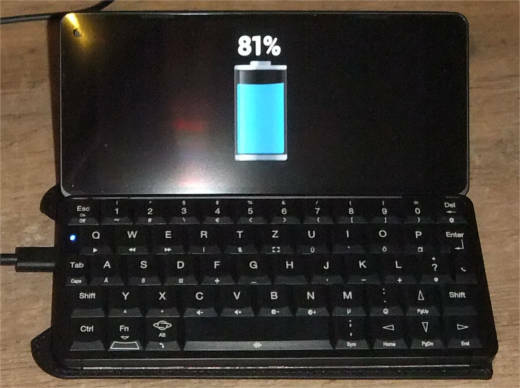 The Gemini is a PDA class clamp-shell device with a fully integrated keyboard and touchscreen that is designed for Android, but also capable of running Linux. No need to go through the specs here, everything interesting regarding these can be read on Planet Computers web page or on Wikipedia. Last week, after a long time of waiting, the parcel with the 4G version of the Gemini, the connectivity kit and the optional camera finally arrived. The order id has been in the 20XX range and the device is with a non UK keyboard, so the device is most probably from the third batch. 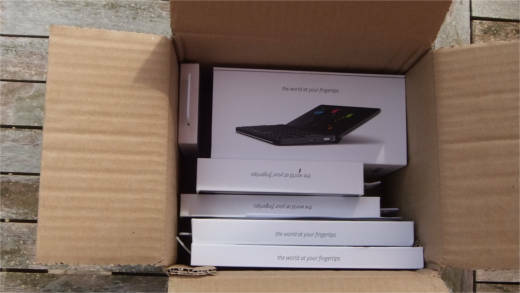 After opening the parcel and removing some wrapping material one can see multiple smaller boxes containing the device and its accessories. 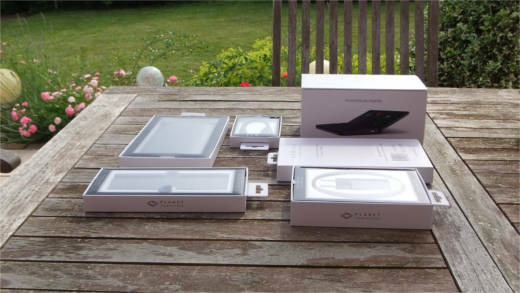 The boxes shown in the photo below contain from left to right, the leather pouch, the special HDMI adapter (only this one allows connecting an external display), the Gemini, the USB type C hub, the external camera addon and an additional charger. 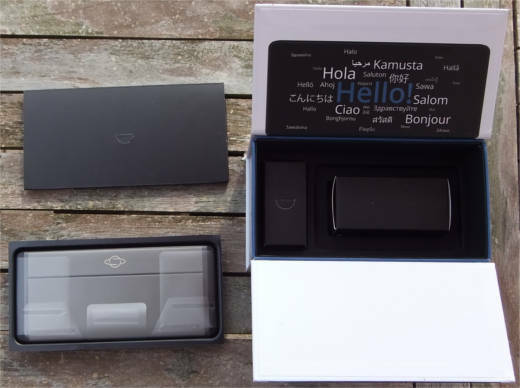 The larger box welcomes us with “hello” printed in several languages and contains a smaller black box containing the manual and the cover removal tool (needed to insert a SIM card and a SD card), the PDA itself and (still in the larger box) a charger and the Type C to Type A USB cable. Below we have a closer look to the PDA well wrapped in foil. After removing the foil we can see its full beauty. 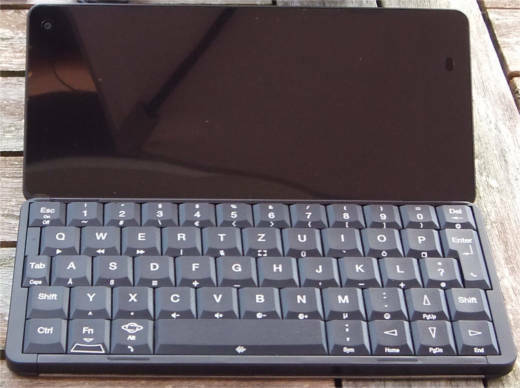 With the opened device we can see the the display and the German QWERTZ keyboard. The keyboard feels solid and has no wobbly keys like it has been reported by backers who have received devices from the first batch. Phone manufacturers recommend to charge the devices a first time fully before using. Most probably this is a myth without any use than having a fully charged device, but anyway I did. I am hoping you have enjoyed the photo series. Further articles regarding testing some aspects of the device, Linux on the Gemini, and hopefully some solutions will follow. Does it really contain a X27 CPU? We will find out later. Stay tuned for updates.